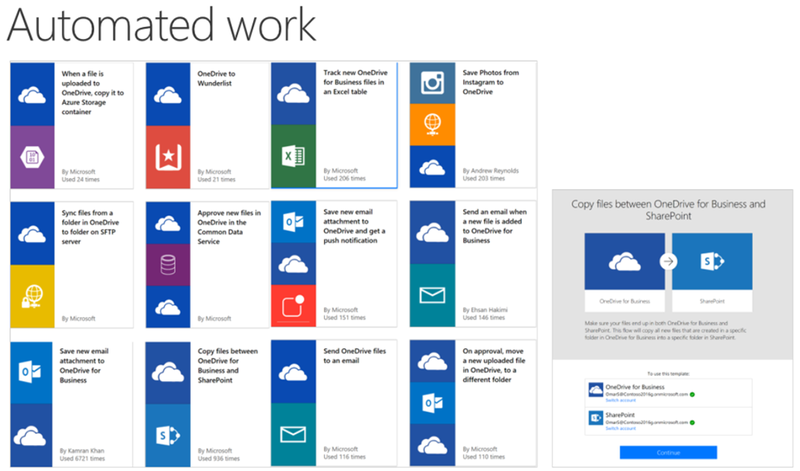 The Integration of OneDrive and OneDrive for Business is going on. So you see more products with Integration with this Cloud storage. So OneDrive (Personal) has now over 100 Million active Users, 1 Exabyte (== 1 Billion Gigabyte) of data in Azure files. OneDrive for Business growth 100% year over year, the storage growth is 300% year over year and the reliability reaches 99,999%. With automation, not only from Microsoft is going straight forward. Automation companies like IFTTT or Zapier deliver cloud based solutions. The knowledge about OneDrive and OneDrive for Business, the integration into other products is important for Microsoft. Therefore Microsoft established a new program called MODE. A bunch of people around the globe (MVPs and MCTs) will get more information form the product group, to deliver these information on community events and conferences. I’m also now a Microsoft OneDrive Expert (MODE) and I hope, my good connection with the Product Group will be enhanced.